In regulatory jurisdictions that provide for this (a list including most or all developed countries with free market economies) consumer protection is a group of laws and organizations designed to ensure the rights of consumers as well as fair trade, competition and accurate information in the marketplace. The laws are designed to prevent the businesses that engage in fraud or specified unfair practices from gaining an advantage over competitors. They may also provide additional protection for those most vulnerable in society. Consumer protection laws are a form of government regulation that aim to protect the rights of consumers. For example, a government may require businesses to disclose detailed information about products—particularly in areas where safety or public health is an issue, such as food. Consumer protection is linked to the idea of consumer rights, and to the formation of consumer organizations, which help consumers make better choices in the marketplace and get help with consumer complaints. Other organizations that promote consumer protection include government organizations and self-regulating business organizations such as consumer protection agencies and organizations, ombudsmen, the Federal Trade Commission in America, and Better Business Bureaus in America and Canada, etc. It's a way of preventing fraud and scams from service and sales contracts, bill collector regulation, pricing, utility turnoffs, consolidation, personal loans that may lead to bankruptcy. In Australia, the corresponding agency is the Australian Competition and Consumer Commission or the individual State Consumer Affairs agencies. The Australian Securities and Investments Commission has responsibility for consumer protection regulation of financial services and products. However, in practice it does so through privately run EDR schemes such as the Financial Ombudsman Service (Australia). Germany as a member state of the European Union is bound by the consumer protection directives of the European Union; residents may be directly bound by EU regulations. A minister of the federal cabinet is responsible for consumer rights and protection (Verbraucherschutzminister). In the current cabinet of Angela Merkel, this is Heiko Maas. The Consumer Protection Law (CPL) in Taiwan, as promulgated on January 11, 1994 and effective on January 13, 1993, specifically protects the interests and safety of customers using the products or services provided by business operators. The Consumer Protection Commission of Executive Yuan serves as an ombudsman supervising, coordinating, reporting any unsafe products/services and periodically reviewing the legislation. The United Kingdom, as a member state of the European Union, is bound by the consumer protection directives of the European Union; residents may be directly bound by EU regulations. Specifics of the division of labour between the EU and the UK are detailed here. Domestic (UK) laws originated within the ambit of contract and tort but, with the influence of EU law, it is emerging as an independent area of law. In many circumstances, where domestic law is in question, the matter judicially treated as tort, contract, restitution or even criminal law. Consumer Protection issues are dealt with when complaints are made to the Director-General of Fair Trade. The Office of Fair Trading will then investigate, impose an injunction or take the matter to litigation. However, consumers cannot directly complain to the OFT. Complaints need to be made to the Citizens Advice Consumer Service (which has taken over from Consumer Direct) who will provide legal advice to complainants, or re-direct the individual complaint to Trading Standards for investigation. Due to restrictions within the Enterprise Act 2002, individual complainants are unable to be told whether their case is being investigated or not. In very rare cases, Consumer Direct may direct a very large number of complaints to the OFT to be considered as a systemic complaint. The OFT can also be engaged by consumer groups e.g. The Consumers Association or the statutory consumer protection body – Consumer Focus – via a super complaint. The OFT rarely prosecute companies, however, preferring a light touch regulation approach. Consumer complaints against companies are not published, but investigation work, undertakings and enforcements are located at. 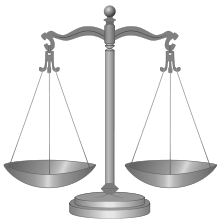 Many of the consumer protection laws e.g. Distance Selling Regulations 2000 or Unfair Terms in Consumer Contracts Regulations 1999 (15 years ago) are actually UK implementations of EU directives. The OFT is one of the bodies responsible for enforcing these rules. This leads to a problem in that these examples of legislation are clearly designed to deal with individual complaints but the OFT will only deal with systemic complaints and will ignore individual complainants redirecting them back to Consumer Direct. 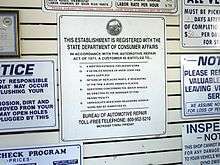 In the United States a variety of laws at both the federal and state levels regulate consumer affairs. Among them are the federal Federal Food, Drug, and Cosmetic Act, Fair Debt Collection Practices Act, the Fair Credit Reporting Act, Truth in Lending Act, Fair Credit Billing Act, and the Gramm-Leach-Bliley Act. Federal consumer protection laws are mainly enforced by the Federal Trade Commission, the Consumer Financial Protection Bureau, the Food and Drug Administration, and the U.S. Department of Justice. California has the strongest consumer protection laws of any US state, partly because of rigorous advocacy and lobbying by groups such as Utility Consumers' Action Network, Consumer Federation of California and Privacy Rights Clearinghouse. Other states have been the leaders in specific aspects of consumer protection. For example, Florida, Delaware and Minnesota have legislated requirements that contracts be written at reasonable readability levels as a large proportion of contracts cannot be understood by most consumers who sign them. 47 national constitutions currently in force include some sort of consumer right. The Constitute project lists the text of each of these provisions here. Kenya's provision, for example, suggests that citizens have the right to (1) goods and services of "reasonable quality." (2) information about the product, and (3) protection of their health and safety in the use of the product. The Kenyan rule also stipulates that citizens would have legal recourse in the case of injury or product defects. ↑ "West Encyclopedia of American Law. Consumer. Answers.com. n.d.. Retrieved on January 31, 2010"
↑ V. Balakrishna Eradi, "Consumer Protection and National Consumer Disputes Redress Commission" Archived July 21, 2011, at the Wayback Machine.. New Delhi: National Consumer Disputes Redressal Commission. Accessed 25 June 2013. ↑ Carol T. Juang, "The Taiwan Consumer Protection Law: Attempt to Protect Consumers Proves Ineffective" Pacific Rim Law & Policy Association, 1997. ↑ "EU law and the balance of competences: A short guide and glossary, 2012". Foreign & Commonwealth Office. Retrieved 20 April 2016. ↑ U.K. Office of Fair Trading, , 2013. ↑ U.K. Office of Fair Trading, "Consumer Enforcement", 2013. ↑ Lewis D. Eigen, "A Solution to the Problem of Consumer Contracts That Cannot be Understood by Consumers Who Sign Them", Scriptamus, 2009. ↑ Elkins, Zachary, Tom Ginsburg, and James Melton. 2014. "Characteristics of National Constitutions, Version 2.0." Comparative Constitutions Project. Last modified: April 18, 2014. Available at: http://www.comparativeconstitutionsproject.org. ↑ Australian Securities and Investments Commission, Australian Securities and Investments Commission Act 2001. Klein, Daniel B. (2008). "Consumer Protection". In David R. Henderson (ed.). Concise Encyclopedia of Economics (2nd ed.). Indianapolis: Library of Economics and Liberty. ISBN 978-0865976658. OCLC 237794267.